Finally the RAT has been indentified! That rat per Shotti who was 6ix9ine’s ex manager is none other thanfake BFF DJ Akademiks per a source. Shotti is saying that the feds pressed Akademiks so hard with potential Obstruction of Justice charges which would at minimal give him 5-10 years in prison forced his hand to become government witness. 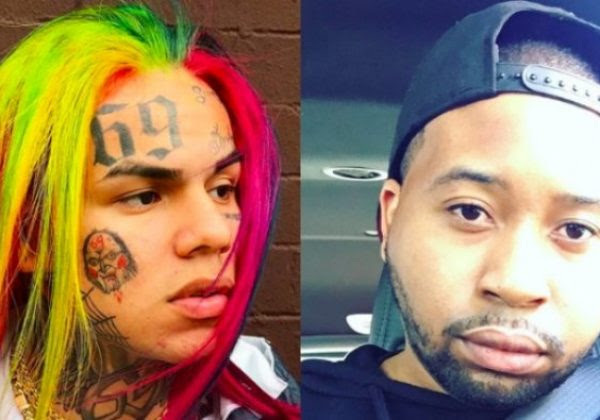 The feds used Akademiks instagram account against 6ix9ine, Shotti and made the whole account Federal evidence. The FEDS also feel that from Akademiks close relationship with 6ix9ine he knows inside info that only 6ix9ine and Tr3Way members would know. Shotti is also telling people thru his lawyer that Akademiks was the one who got in 6ix9ine’s ear which forced him to fire Shotti and other Tr3Way members from his music management team. Shotti promise’s that Akademiks name will be released soon in court documents proving their claim that Akademiks is the snitch!